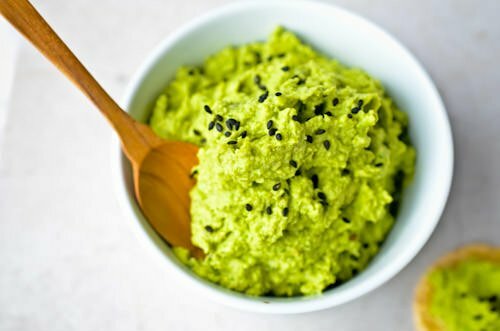 This edamame dip is rich in protein, filling, fresh and absolutely delicious. 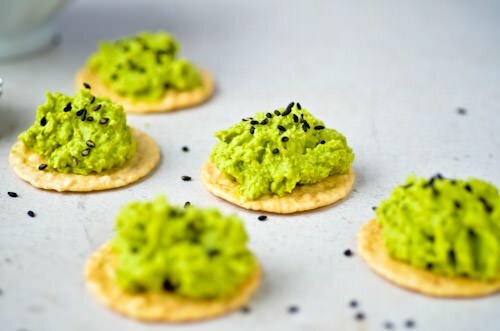 Bright green and sprinkled with some toasted sesame seeds it’s great as the centerpiece of a vegetable platter but also delicious on sandwiches, in a wrap or anywhere that you would use hummus. Feel free to substitute the parsley with cilantro or basil or use tahini instead of the avocado. Cook edamame in a large saucepan of boiling salted water until tender, 4-5 minutes. Drain reserve 1/2 cup of the cooking liquid. 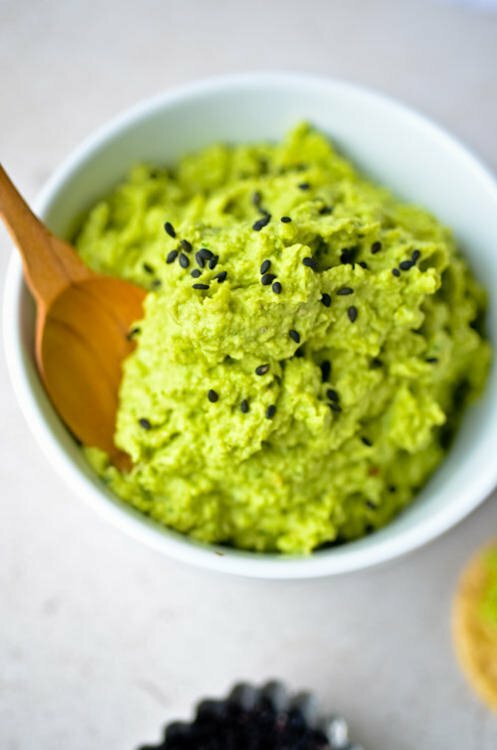 Place the edamame, avocado, garlic, lemon juice, parsley, miso, chili paste, olive oil, salt and pepper and 1/4 cup of the cooking liquid into a food processor or blender. Blend until smooth and creamy, adding some additional cooking liquid if too thick. Garnish with sesame seeds and serve with raw veggies, rice crackers or pita chips. Mmm, that looks so good. I love the strong, green color of it. Definitely making this next time I’m making pita chips! I just made this last night for a little party I attended and it went over really well, it’s nice to have a little something different to offer over the usual chips and salsa. Let me know what you think if you get a chance to try it! Adding some edamame to my shopping list right now! Silly question. Are the beans shelled? 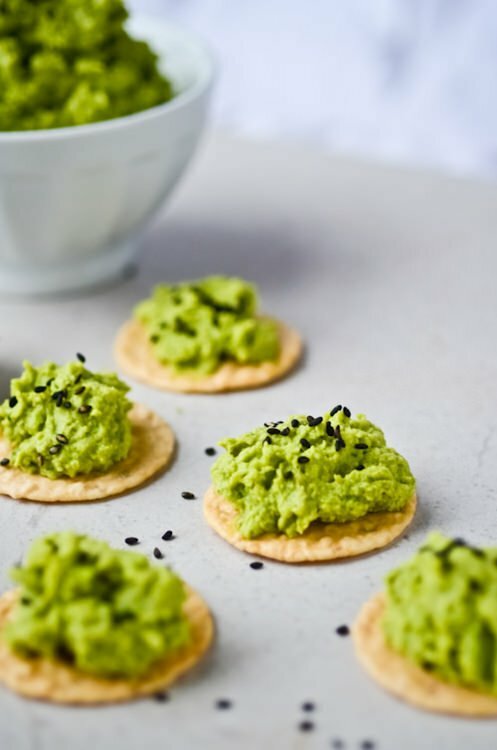 Yes, make sure to use shelled edamame for the dip. You can usually find them in the freezer section along with the other frozen vegetables. I hope you enjoy it if you try it!